North Orange Family Dentistry is growing to serve patients better. As we break ground on our new building, we want patients to know they are the driving force behind our decision to build a bigger and better patient care center. Our patients deserve the best and in order to deliver the best dental experience possible, we needed to create a space with more room, more options, and more advantages for patients. When Dr. Bogan opened the doors of North Orange Family Dentistry in January 2013 his dream was to serve the Lewis Center community that he and his family call home. That dream came in the form of service, by making the latest in dental technology and treatment accessible to all of our patients and by serving our schools and our community in various ways. 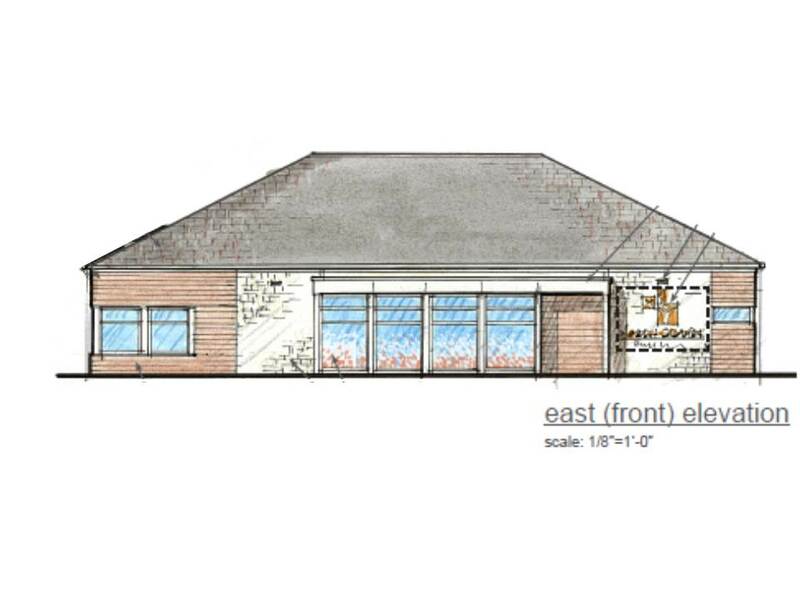 To further our commitment to serve Lewis Center and the surrounding community, North Orange Family Dentistry is building a new state-of-the-art dental office, with construction beginning in September 2018.Located a stone’s throw from our current office at the corner of Gooding Blvd.and Corduroy Rd., this new facility will position North Orange Family Dentistry as the leader in high-tech dental care. Our new doors are set to open in spring of 2019. With a deep commitment to the people of Lewis Center, we were committed to constructing a beautiful, spacious, and modern patient center as an investment in the community. We believe the stunning combination of a gorgeous wood and stone exterior will represent our community well and patients will be proud to call this picturesque building their dental home. The new stand-alone structure will offer three times the space of our current office. Patients and their families will enjoy our inviting and open reception area with a spacious kids play zone and other conveniences to help them enjoy their time here. More hygiene and treatment rooms will also provide greater scheduling flexibility and additional treatment options for those we serve. This will allow us to accommodate the rapidly growing community and maintain our high standard of quality personalized care. A new and larger space will allow patients to take advantage of expanded hours along with the convenience of seeing the doctor of their choice. Full of the latest dental technologies, the new patient center will also provide patients with more choices for advanced family dental solutions in Lewis Center. Examples of this include our new fully digital dental laboratory with the ability to take care of all of our patient’s appliance, denture, and crown/bridge needs in house. A media-equipped classroom will be used for community events and educational offerings for both North Orange Family Dentistry and Advanced Dental Assisting of Lewis Center. We believe a five-star dental experience requires a five-star patient center with an inviting and comfortable welcome area, extraordinary treatment rooms, flexible and convenient scheduling options, and the latest dental technology. Our goal is to ensure that every patient who walks through our doors receives first-class family, cosmetic, and restorative dental care. We hope you share our excitement as together we watch this building process unfold over the next several months. Feel free to check out our drawings and blueprints. We will be sharing pictures, updates, and announcements as we move forward. Thank you for the privilege of serving you and your family.